Demand for new homes is heating up. A shortage of suitable existing home inventory may be one reason, but new home shoppers also are looking for properties that differ from the existing home stock. They are seeking houses that align more closely with their values and lifestyles. Top of mind are the following features, according to recent industry reports. 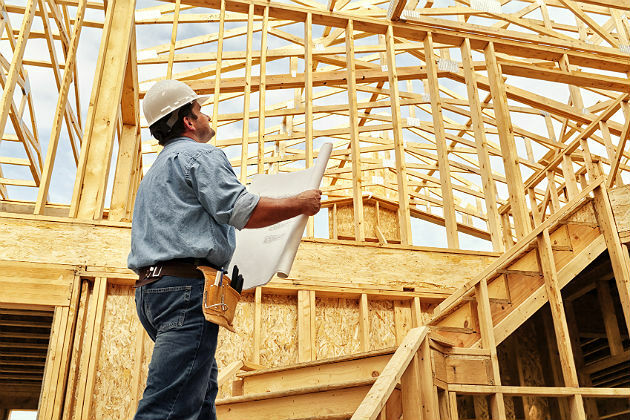 Sales of newly built, single-family homes rose 12.4 percent in July, as announced last month by the U.S. Census Bureau and Department of Housing and Urban Development. It was the highest month-to-month reading since 2007. The Wall Street Journalreports that the market has been gaining strength in recent years. In the first six months of this year, purchases of new single-family homes increased 10.1 percent compared with the same period in 2015, which were up 14.6 percent over 2014. The upward trend seems likely to continue. A recent survey of new home shopper attitudes conducted by Electrolux and John Burns Real Estate Consulting found 81 percent of prospective buyers believe now is a good time to buy a new home. That sentiment was especially strong among consumers aged 57 to 66, who are likely to have the means to afford and qualify for a new home. Those in the market for a new home have definite ideas about what they want. Whether current or first-time buyers, they generally are looking for smaller homes. The American Institute of Architects' Home Design Trends Survey for 2016 showed "renewed homeowner interest in larger homes, including volume and lot size" as one of the significant trends of the previous 12 months. However, the National Association of Home Builder's "Eye on Housing" news source, citing U.S. Census data, stated the average square footage of new single-family homes declined slightly, from 2,674 for 2,657, in the first quarter of this year, perhaps signaling a reversal in demand for larger properties. Many newly formed households are small, and empty-nester baby boomers often are looking to downsize. In its roundup of 2017 housing trends, SpecSpaces selects Micro ("think smaller regarding space and cost") as growing in popularity. Recently, the Chicago Tribunereported on a decline in demand for McMansions, noting that even affluent buyers looking for large homes want new homes that are better suited to their tastes and lifestyles. Technology ranked high among what new home shoppers want most in their next home in the John Burns survey. Although the number and variety of connectable devices and products continues to grow, survey respondents were most interested in smart thermostats and home security. Comfort also is a benefit consumers are willing to pay for. Along with controllable thermostats, 87 percent of respondents would pay for smart lighting, and 75 percent would pay for high-tech appliances. Maximizing the use of space, especially in smaller homes, is another top concern. Making space smarter was one of the most important considerations for the participants in the John Burns survey. The AIA survey found homeowners are looking to make the most of the livable space in the home, opting for open-space layouts, greater access and flow between the indoors and outdoors, and more informal or multiuse spaces. Integrated storage in the form of built-ins, slide-out shelving and a butler pantry also remain popular. SpecSpaces' trends report highlights the growing use of cantilevers in building design to increase space while maintaining a smaller footprint. Design for multigenerational and aging households is becoming a more common feature in new home construction. The AIA notes increased demand for accessibility features and single-floor plans within the past year. An article in ChicagoAgent magazine cites data from the Pew Research Center that 60.6 million people now live multigenerationally. It lists separate entrances and outdoor spaces, main-floor bedroom suites with living spaces and kitchenettes, and multiple bathrooms as on the wish list for new homes for multiple generations. Among its advice for consumers looking to build a new home, Inforum recommends integrating universal design principles as suitable for young families, multigenerational households and persons in retirement who plan to age in place. Last but by no means least, buyers want features that make the home sustainable and healthy. In addition to reducing energy use, there is growing concern about conserving water. Large windows and lots of natural light throughout the house have become commonplace, as has the use of sustainable materials, such as renewable and reclaimed surfaces, like wood and brick. Buyers also are interested in technologies that help make the home healthier, such as air quality monitors and air filtration systems. These trends improve homeowners' overall quality of life and reflect their personal values as well, helping ensure that their new house will truly be a home.